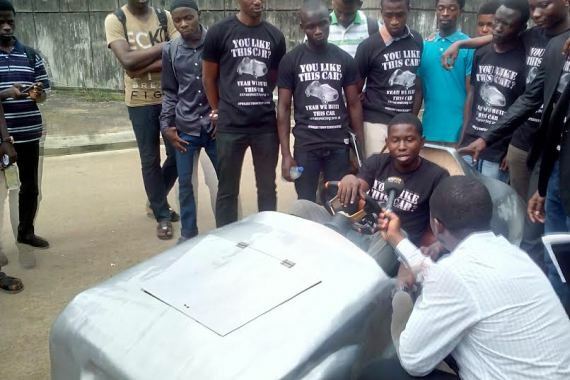 An intrepid group of mechanical engineering students at the University of Lagos have come up with an innovative invention: an urban electrical vehicle with zero emissions. Via an an exciting crowdfunding campaign, they are now hoping to find backing for their new product, which was built with the aim of reducing global warming. The car is completely chargeable, built with locally sourced materials and is called Dove P1. Once the youngsters completed the first prototype, they started spreading the news about their invention. They were overwhelmed with the positive feedback from their peers and the vice chancellor of Lagos University, and decided to launch a crowdfunding campaign. On the 29th of January 2016 they activated their campaign on sanzy.co, where they hope to raise US$25,000 to start replicating the technology at other universities across Nigeria. The students believe and hope that the project can eventually grow beyond the country. The vice chancellor of the University is not the only person who is excited about the project. Representatives of the Lagos State Ministry of Commerce and the Nigerian Stock Exchange have confirmed that they are behind the project and believe that it is an initiative that will expand across universities. The team is positive about establishing the initiative in 20 education institutions before the end of 2016. The roll-out project includes equipping students with the tools required to design and construct the vehicles. According to Olusanya, the team leader, it is logical that electric cars will become a future trend, since fossil fuels are fast running out. The group is excited about raising funds with their crowdfunding initiative because they believe that the platform is about more than just finances; it is a way in which investors can express concern and care for the next generation, which is exactly in line with what these guys are trying to do.